It’s as adventurous as our founder descending on the Himalayas in search of something to fill her mug. It’s as fresh as the cool, crisp morning air that envelopes you as you first step outside to take on the day. It’s as bold as the traditional South Asian recipe that’s been passed down for thousands of years. Introducing new Oregon Chai Spiced Chai Tea Latte. A new take on your daily indulgence, Spiced Chai brings out the natural spices found in traditional masala chai for a bolder kick in your morning mug. The authentic blend of chai spices includes ginger root, clove bud, cardamom seed, cinnamon and anise seed. We amplify these spices with freshly steeped Assam black tea. Spiced Chai naturally contains 50 mg of caffeine to give you that little boost you deserve. Simply mix with your favorite milk or dairy alternative, and your mind will leap into a world full of flavor. 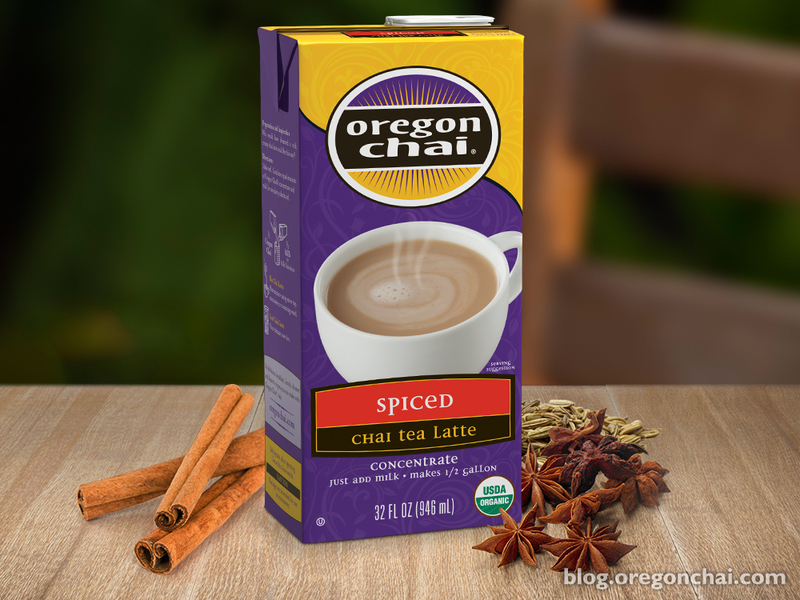 Find Oregon Chai Spiced Chai Tea Latte exclusively online at http://shop.oregonchai.com. I would like to thnkx with the efforts you’ve got set in careting this weblog. I’m hoping the same high-grade web site submit from you in the upcoming as well. In fact your creative producing abilities has inspired me to obtain my own website now. Actually the running a blog is spreading its wings quickly. Your write up is really a excellent example of it.